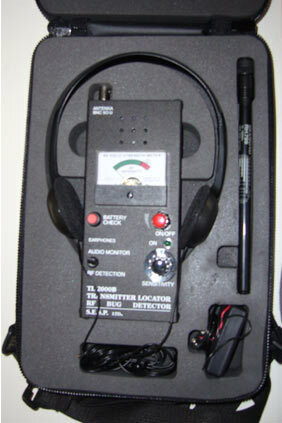 The TL-2000 is a high end portable bug detector that in made in Israel. It was first introduced in the 1970's. 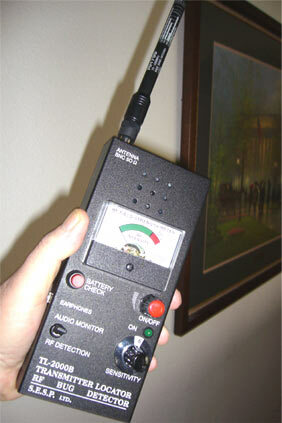 The TL-2000 series was for those serious about countermeasures sweeps and needed a portable unit. With sensitivity adjustment and audio verification mode, it's a cut way above the other products on the market. The TL-2000 continually been upgraded and can be obtained today. Click here for more info. NATIONAL ASSOCIATION OF INVESTIGATIVE SPECIALISTS, INC.
STOP BY THE STATE-OF-THE-ART COUNTERMEASURES SHOP! Copyright: 2006, Thomas Investigative Publications, Inc. All rights reserved. Thomas Investigative Publications, Trademark, 1981. National Association Of Investigative Specialists, Inc, Trademark, 1986.